The set was originally made from silver and gilded silver in a limited edition. Original sets, if they become available, are around $2000-$3000. 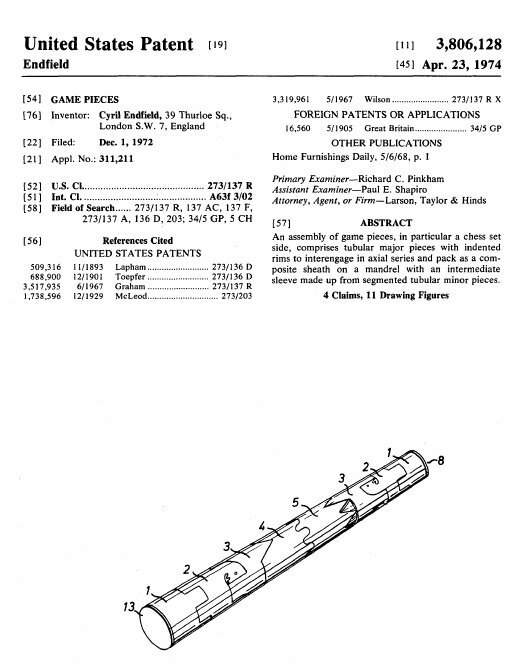 The front page of the patent below shows the basic design of the tubular stack. In the illustration below we see the way Cy Endfield assembled one color. 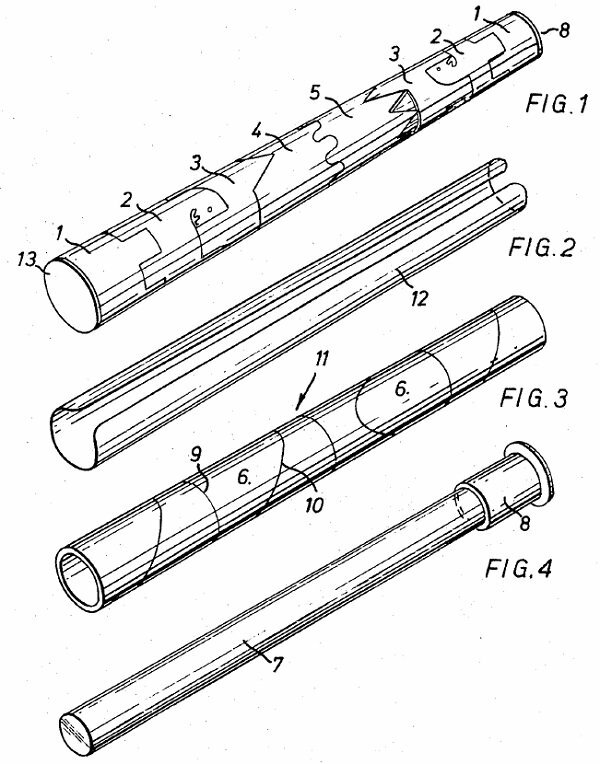 The most inner part was formed by a tube (Fig. 4) onto which the pawns were stacked (Fig. 3). Over the pawns came another tube to prevent pawns from rubbing against the other pieces. 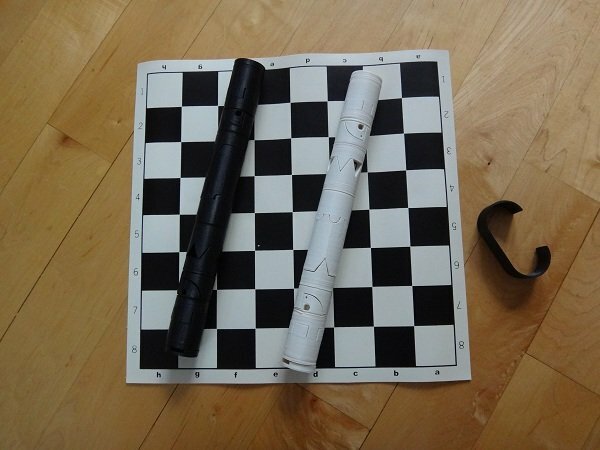 Ever since I became aware of this beautifully designed chess set I wanted to revive it, or at least make one for myself. I couldn't find an original set, so I set out to make one. My first attempt was to have them laser cut from stainless steel tubes, but the firm operating the laser cutter was incapable of understanding the design and actually cutting the pieces correctly so that they interlocked. 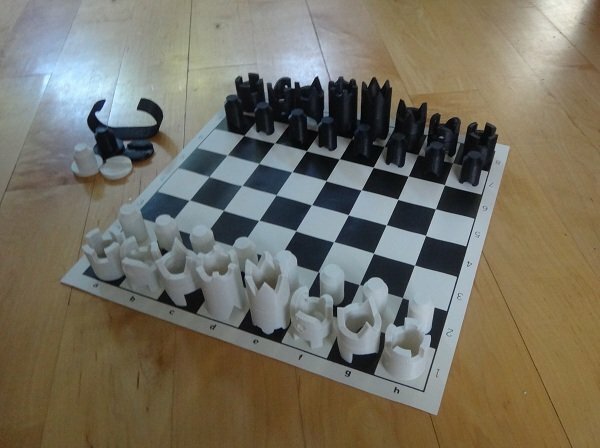 Eventually I bought a 3D printer which I was able to print a modified version of the Cy Endfield chess set. Beside the obvious difference of being made from ABS plastic and being scaled up to larger dimensions, there are a few changes I have made, some to accommodate the 3D print, others to increase the functionality of the design. You can be the judge if I improved Cy Endfield's original design or not. The bishop has three triangles representing the bishop's hat rather than two. This prevents the bishop-queen and bishop-king joint to separate radially. 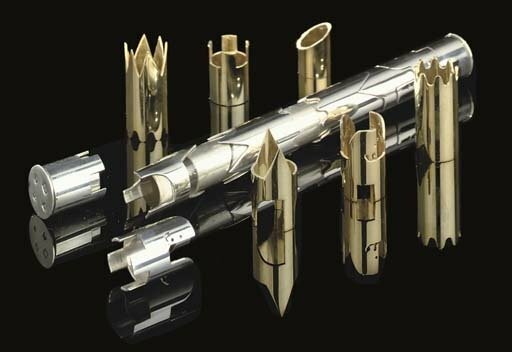 Now all pieces have to be separated axially which leads to a much more robust outer tube formed by the back row pieces. 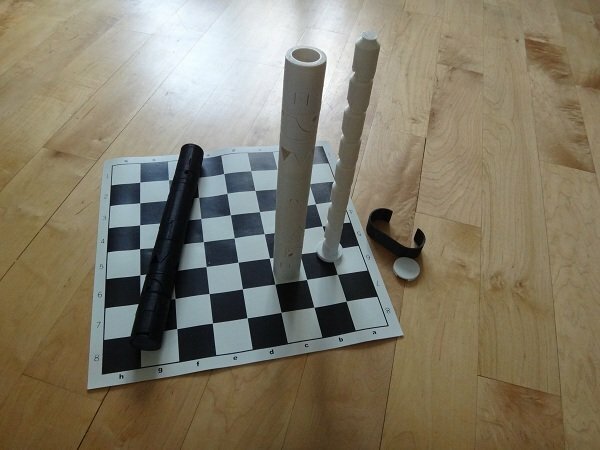 The pawns have been completely redesigned to interlock into a long rod. Together with two additional end-pieces the pawn lock the tube of back row pieces firmly together. Storage therefore does not need an additional container. 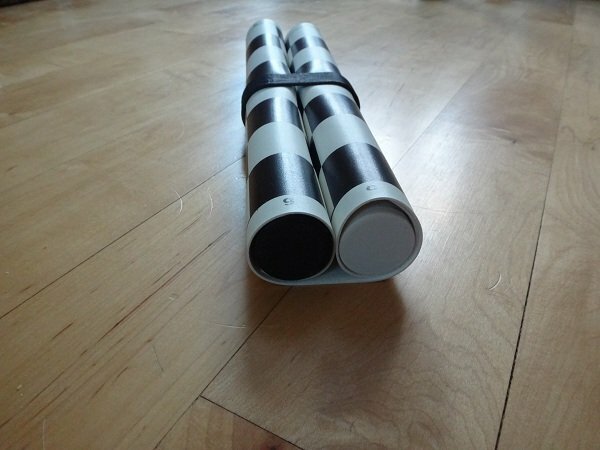 The best way is to roll a soft board around as seen below. Some of the back row pieces, in particular knight, bishop and king, are printed in two parts which are linked together by screwing one piece into the other. Both parts have threads printed on their ends which allow the screw connection without any additional hardware. The details of the knight's head were changed to create a design with less overhangs, which prints better on a printer without support material. Below a couple of photos of my rendition. The pieces were printed on a Cube printer in white and black ABS plastic. Total print time more than 30 hours. This is absolutely fantastic! Looks really good! Well done Chris. Nice work! Looks amazing!! I saw one of the original sets on an auction once unfortunately I did not have 3000£ anyway you can send me the file? I would love to print one out.